AES UK & Ireland has been awarded Platinum Level in the Business & Biodiversity Charter by Business in the Community, in partnership with Ulster Wildlife, for its outstanding commitment to protecting and enhancing biodiversity at the company’s sites in Northern Ireland. Launched in 2016, the Business and Biodiversity Charter initiative aims to inspire and encourage businesses throughout Northern Ireland to protect and enhance biodiversity. Lucy Marsden, Health, Safety, Security and Environment Advisor for AES commented: “We are delighted to achieve Platinum Level in the Business & Biodiversity Charter. 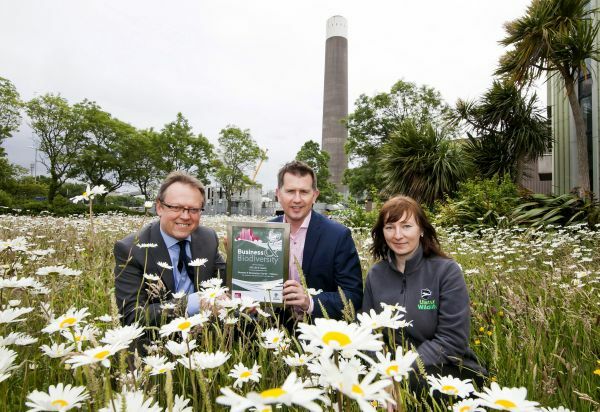 We are committed to developing a world-class corporate biodiversity programme, and this accolade is testament to the hard work of all the team in Northern Ireland.